Grunge Live Vol. 2 is the second volume in a two disc Australian silverback bootleg CD / cassette compilation set from Mainline Music Party, it is the only volume to have Jane’s Addiction content. This compilation includes three songs from the March 12, 1991 Jane’s Addiction concert at Rock City in Nottingham, England. This disc makes no effort to hide its unofficial status, blatantly stating that it is an unlicensed recording. This is done apparently do circumvent local copyright laws. The remaining songs are from the bands Faith No More, Primus, Living Colour and the Red Hot Chili Peppers. 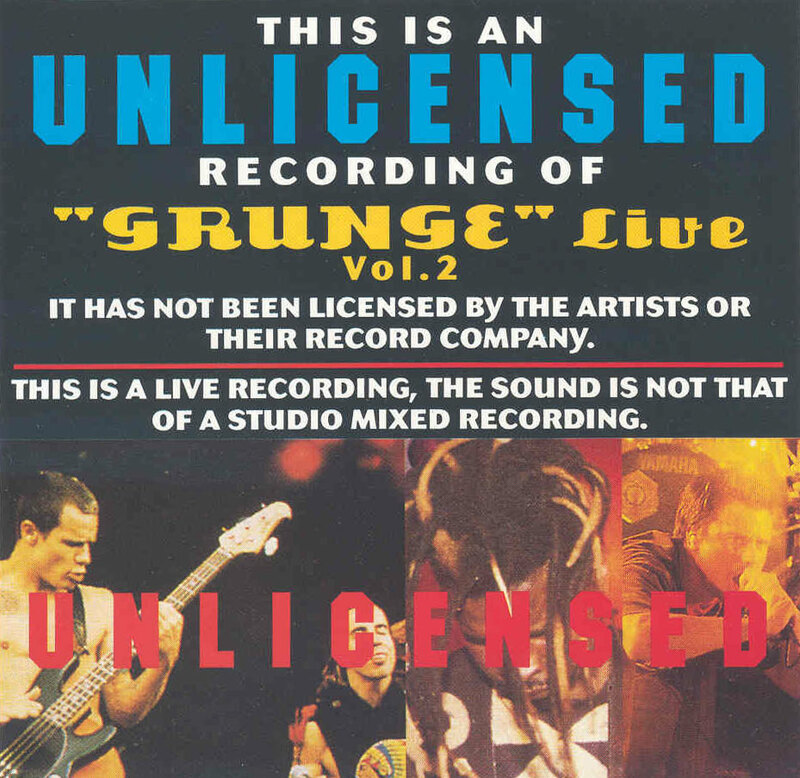 Interestingly enough, it is questionable if any of the bands on this volume would actually be considered to be “grunge” artists. This disc is extremely poorly mastered as every song on this compilation is contained within a single track.